Wallpapers, original soundtrack (including the theme song “My Name In Lights”) and more. Even if is a dating sim, this game is quite different from Nicole. First of all, the scheduler is more similar to the one I used in my games of the Flower Shop series. You can’t visit each location and choose an activity like in Nicole, more like you plan your week and then press play to see what happens. Finally, a good news (for those who don’t know it already): you can play as male or female immediately, no need to wait for an extra version. I am still thinking to allow people to purchase the two versions separately, since I am not sure how many people like to play with both genders. 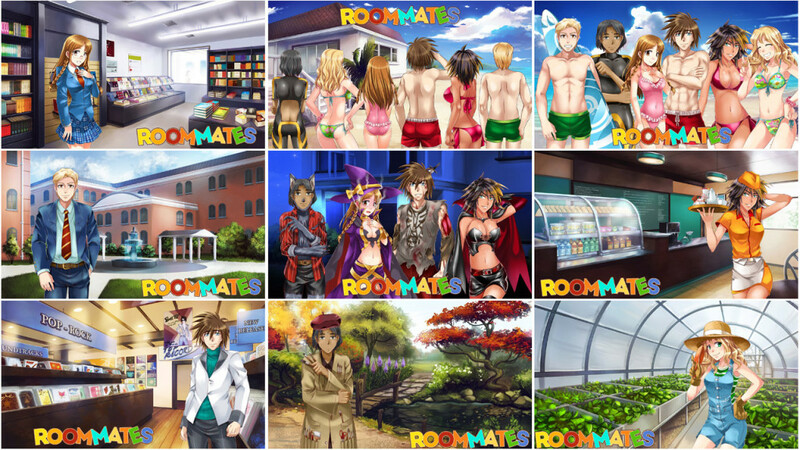 This entry was posted in dating sims, development screenshot, roommates. Bookmark the permalink. As for a censored version? I like the option to have both. I admit, sometimes the outfits for the censored actually seem ‘sexier’ than the non-censored ones. I mean no offense but to be honest, I just only hope that it wont be disappointing as Nicole was for me. Depends in what you’re looking for in a game?